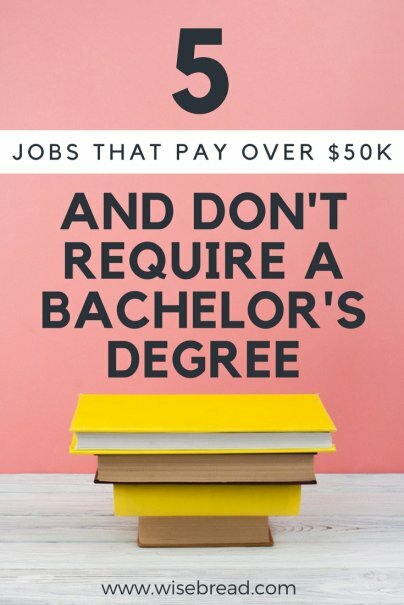 Growing up, you probably heard the same thing from parents, teachers, and friends: You need a four-year college degree to earn a good living. However, that's not always true. Although higher education can be valuable, the high cost of tuition makes going to college cost-prohibitive for many. Students increasingly rely on loans to pay for school and are saddled with crippling debt for years after graduating. The nation is currently facing a nationwide shortage of skilled workers, particularly electricians. Thousands of baby boomers, including skilled electricians, are retiring. At the same time, outdated, negative stereotypes about blue-collar jobs persist. The result is that fewer people are entering the field, leaving companies scrambling to hire what workers they can find. That demand can work in your favor. Electricians need a high school diploma, and you will have to complete either a trade program or an apprenticeship. However, because there is such a shortage of candidates, many companies are paying entry-level workers to receive their education and on-the-job training. As of 2016, the mean wage for electricians stood at $56,650. As an insurance sales agent, you'll contact potential customers and try to sell insurance policies. Depending on the agency you work for, you could be selling individual policies, such as car insurance or renters insurance, or you could sell policies that cover businesses. The mean annual wage for insurance sales agents in 2016 was $67,760. There is also the potential to earn bonuses and commissions, which can increase your income even more. Best of all, entry-level positions only require a high school diploma or its equivalent. Web developers create and design user-friendly websites. They handle the behind-the-scenes aspects of a site, such as coding, security, and speed. The mean wage of web developers in 2016 was a whopping $72,150, with the potential to earn six-figures as your career progresses. If looking into people's mouths doesn't gross you out, and you're willing to get an associate degree, a career in dental hygiene can be a lucrative option. Dental hygienists earned a mean wage of $73,440 in 2016, though some can earn salaries well into six figures. Think of all of the buildings you see each day during your commute. Most of them have elevators, which means someone has to install, repair, and maintain those elevators. A career in elevator installation and repair can provide job stability, as the industry is expected to grow at a higher-than-average rate (12 percent). To enter the field, you only need a high school diploma or its equivalent, along with an apprenticeship. That's a very budget-friendly way to earn the highest mean salary on the list: $76,860 as of 2016. While pursuing a trade job is a nonconventional choice today, it can be a smart decision. With lower education costs and little to no student loan debt, you can begin working and building your financial future sooner.